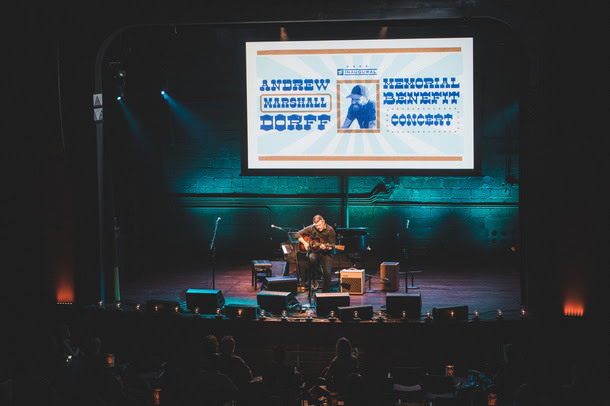 October 17, 2018 - Nashville, TN...The inaugural Andrew Marshall Dorff Memorial Benefit Concert brought the music community together at the Franklin Theatre to celebrate the life and legacy of Andrew Dorff, an acclaimed songwriter with over 70 songs recorded including five No. 1 hits. All songs performed throughout the evening were co-written by Andrew Dorff. 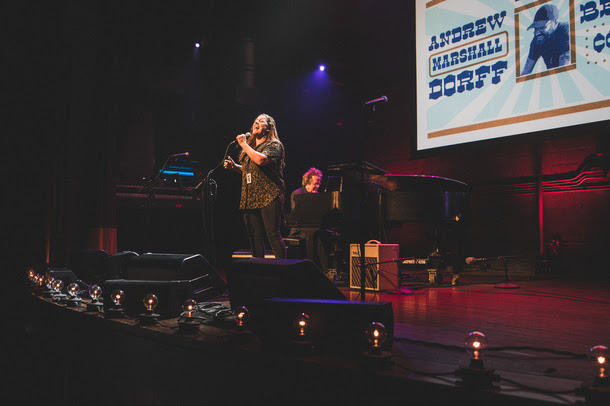 The event was emceed by Sirius XM's Storme Warren and featured incredible acoustic performances by some of Andrew's closest friends and co-writers. There were performances by Jeffrey Steele ("Love Didn't Love Me"), Lori McKenna and Barry Dean ("That's How You Know"), Mark Irwin ("Neon Light"), Tom Douglas ("Ghosts on the Radio"), Levi Hummon and Marcus Hummon ("Make It Love"), Rodney Clawson ("All of Me"), Frank Ray ("Tequila Mockingbird"), and Sam Bailey ("Bleed Red"). 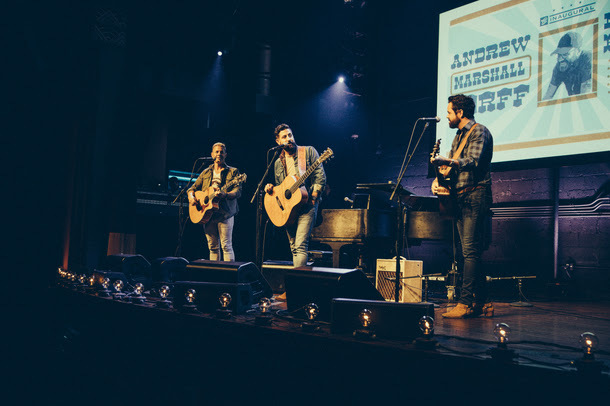 Brad Tursi, Matthew Ramsey, and Trevor Rosen of Old Dominion made a surprise appearance during the concert to perform "Save it for a Rainy Day," and the night ended with Hunter Hayes performing "Somebody's Heartbreak" and "Ladders and Parachutes." The event was sponsored by Sound Royalties, City National Bank, BMI, Coca-Cola Bottling Co. Consolidated, The Palm Restaurant, and Hand Family Companies. "My goal for the evening was to honor Andrew's memory and talents with the people that loved him the most and to give back to a cause that was near and dear to his heart. I can't thank everyone enough for participating and putting together a special night for Andrew and for Children's Hospital," says Steve Dorff. 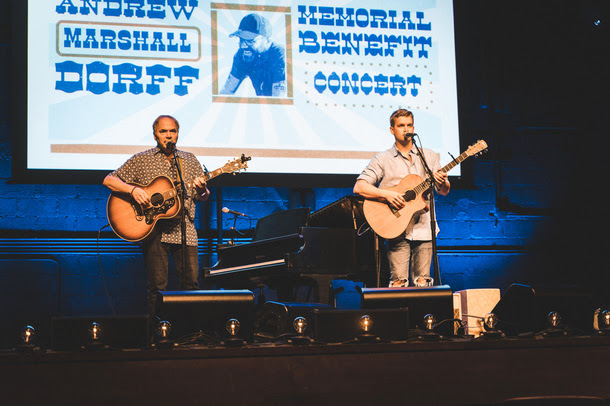 All proceeds went to pediatric oncology initiatives at Monroe Carell Jr. Children's Hospital at Vanderbilt, the principal beneficiary of The Andrew Marshall Dorff Memorial Fund, to help advance Children's Hospital's ongoing mission of compassionate patient care, discovery research and clinical training. Those unable to attend the event can make direct donations to the Andrew Marshall Dorff Memorial Fund here, which will also benefit Children’s Hospital. Contributions from the fund will play a key role in enabling more of our community’s young people to find expert, specialty cancer care. Photo credit - Dot Video Design. More photos available upon request.